Pal Rune Hansen, Head of Operations, says, "We started to work with streaming video and very early on we also worked with some live video, all kind of live stunts. We have grown from one person then, to 61 people now, working on the TV channel." The TV channel was launched in November 2014 as a linear broadcast offering and is also called VG. It's a national news channel, free-to-air, with live news as the primary content, but also some documentaries in the evening and at night time. It isn't available on the internet, though of course VG runs footage - breaking news in particular - online and that's been a core part of its digital business for many years. The channel is widely available. The launch of VG, with its high percentage of live news content, has been facilitated by cellular uplinking technology, specifically LiveU's. 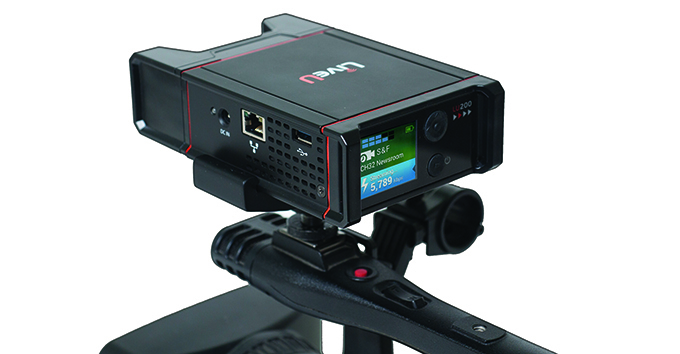 Hansen says, "We were very early adopters when it comes to portable video transmission and LiveU. We looked at the various competing solutions at the time and we examined products in detail but we found LiveU had the best solution, not only for backpack technology with cellular bonding, but also its technology roadmap including the potential to use a smartphone." VG started using LiveU around 2010 and it now uses products from across the LiveU portfolio to create a whole platform powered by the company. Hansen says, "We can start recording as reporters leave the building and that brings the audience into the action immediately, drawing them in with the reporter as the story unfolds. You don't have to wait for a link at the location. It's a totally different - and immersive - way of working and reporting." 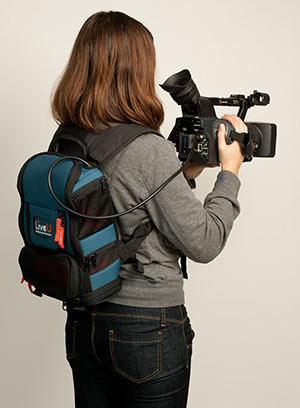 VG now uses LiveU's flagship lightweight LU500 backpacks as well as the mini form factor LU200s. "We do still have a couple of older LU60 backpack too at regional offices!" says Hansen, adding, "The benefits of the technology are that we can go live anywhere, with very few exceptions. And we can deploy the technology incredibly quickly. It puts the viewer at the heart of the action, providing a dynamic experience." Hansen highlights that with LiveU, VG can also use the technology in conjunction with portable Ka-Sat solutions to provide even more flexibility, using LiveU technology as the encoder. VG also uses LiveU's Xtender solution on a six-camera OB truck (which includes production capabilities), with the Xtender providing additional cellular bandwidth via extra modems, along with satellite connectivity too using Ka-Sat. "We are currently building another, smaller newsgathering truck for fast response. We are using a lot of LiveU technology - really the whole LiveU platform." Of course managing these units in an easy and clear way is also very important. VG can manage all the incoming feeds and play them out again centrally, using the LiveU Central Management System. "To be able to use a unified platform with its application-specific technologies to support our aims is very important. LiveU Central is key to this," says Hansen. "We are also using LU-Smart technology, providing cellular bonding on smartphones. We have 100 licences and ten ad-hoc licences too for other employees and also for the public. These can be activated on a temporary basis via LiveU Central and can be set up in a matter of a minute or two. We use the technology mainly with reporters who have permanent licenses. We have developed reporting kits, including microphones, which means that journalists can go live wherever they are and bring the story to viewers as it happens," he adds. News - and viewers' expectations of what that is - has changed massively. Speed and bringing the viewer into the action are vital. There's also a lot of competition in the market - the two other main broadcasters that VG competes with in Norway also use LiveU technology to a certain extent. Hansen says, "The desire to increase our use of live content is there all the time and we are always exploring ways to do that. We usually use LiveU live rather than store and forward. If we do the latter, it's actually usually the case that we do it live and record to server and we can then play that out "as-live" when we want." Cellular coverage is very good in Norway with 4G nearly everywhere, though of course that hasn't always been the case. VG uses Ka-Sat in a couple of instances; the odd occasion where there's no mobile network coverage, in a narrow valley perhaps; and also when they need an exceptional amount of bandwidth - say 10 Mbit/s uplink guaranteed. With cellular they achieve 3-8 Mbit/s. News and newsgathering has changed forever over the last two decades, not least because of the growth of the internet and available bandwidth. LiveU's technology has allowed VG to provide its customers not only with online video news, but it's also central to the success of its linear TV channel launched in November 2014. From smartphone app to the flagship LU500, VG can select the most appropriate device for each story and immerse the viewer. With a unified management platform - LiveU Central - sitting at the heart of operations, VG can continue to expand its use of cellular uplinking.